Two summers ago, one of my collies, Desi, was staying with a friend who has a pool in her backyard. I don’t think Desi had ever seen a pool before (he came to me as a retired show dog from Pennsylvania), but I would never have thought that the pool posed a risk to him as he is always careful about where he steps. So, when he inadvertently tried to walk on water and ended up in her pool, my quick-thinking friend hopped in and guided him out of the water. He was definitely flustered and quite put out about being wet all of the sudden, but he was safe. I just thank my lucky stars that she was standing right there when he fell in. Instead of a funny story, we laugh about now, it could have been deadly. Every year, more than 5000 pets die from drowning in swimming pools, spas, etc. The worst part about this statistic is that these deaths are completely avoidable. Fencing around a pool is the safest way to keep animals out of the water. However, many pool owners don’t like the fencing because it isn’t aesthetically pleasing. There are pool covers that are durable enough that they can be walked on safely by both pets and small children. But, again, the cover will only work if it is on the pool. Probably the best option, if you have an unfenced pool in your yard, is to teach your dog to swim. This is a process…you can’t just toss them into the pool and hope for the best! Start with a life vest and ease them into the water. Stay with them and guide them around the pool. Do a lot of short sessions with the vest on in the pool. Show your dog where the exit points are several times. 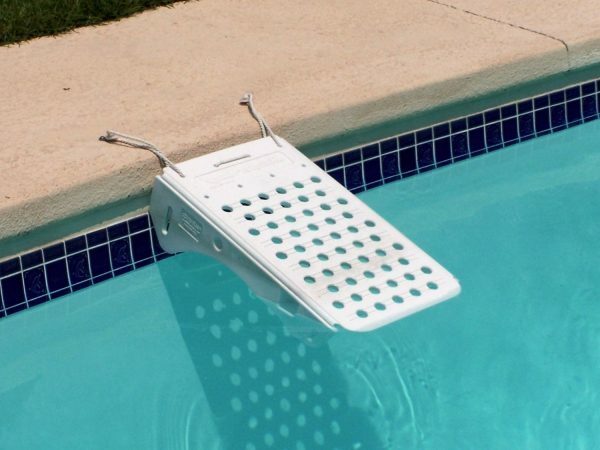 For added safety, purchase a ramp that can be mounted to the side of your pool. These ramps float on top of the water, are quite visible, and have holes in them that a dog can grab a hold of and gain purchase to climb out of the pool. When choosing a ramp for your pool, there are several options as well. This style ramp works best as it is highly visible, floats on the water surface, and has holes the dog can easily grip to climb out safely. Some dogs will graduate out of wearing a life vest around a swimming pool while others should truly wear one anytime they are near water. The brachycephalic dog breeds (think pugs, french bulldogs, etc.) are heavily boned and can sink rather than swim, quickly taking water into their lungs due to the truncated shape of their noses. And, more importantly, any dog can panic, swim around frantically, and then sink, drowning from exhaustion. And water safety isn’t just about swimming pools. 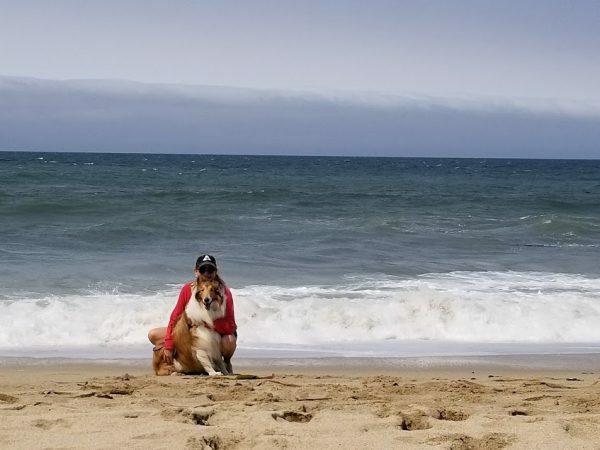 If you own a boat, or plan to take your dog with you anyplace where there is water, such as beaches near the ocean, lakes, or rivers, practicing water safety and teaching them to wear a life vest is a must. 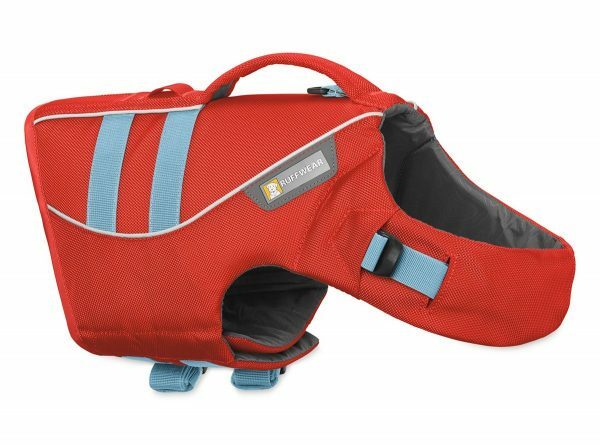 Even dogs who are built for swimming and love it should wear a vest in deep water, heavy currents, or if they will be in the water for an extended period of time where they may become exhausted. Always better safe than sorry.